It's been a busy few months, but long overdue for a post on this here blog! Battle of the Bards has taken a backseat for now, but that's because I've got lots of other exciting musical projects happening! On October 11th my band The JEM is launching our fourth CD, "Another Level" (@TurboHaus, 2040 Rue St-Denis, Montreal)! Follow progress on FioTactics on Twitter @fiotactics! This fall I'm writing for an orchestra composition competition. Six out of thirteen scores will be chosen to be performed live, so I really hope I make the cut! The concept behind my piece is symmetry. 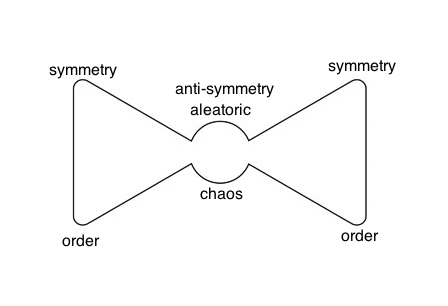 Specifically, in relation - and opposition - to "anti-symmetry," where symmetry represents order, peace, stability. So it will begin using "mirrored" sets of super wide, ambiguous intervals (fourths, fifths) then descend into chaos and madness, as it begins to exponentially lose its symmetry and order. The middle section will entail a degree of randomness, lots of rhythmic and harmonic dissonance, then gradually it will "rebuild" elements of the symmetry and find its way back home, in reverse order of the first half. The idea for this piece was partly inspired by a book I read over the past year, called "House of Leaves". I say "book" but this piece of work defies all categorization of genre and form. 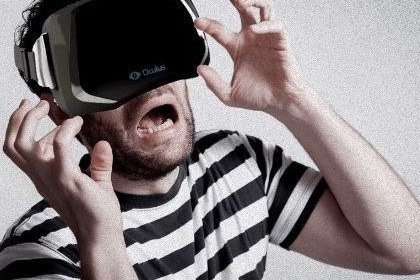 I felt it literally translated the feeling of going insane. There are so many layers to it, each one of them (the reader included) slowly descending into darkness, madness and disorder. The characters, the book, the House, the reader, all make it out the other end, but forever changed. In other news, things are underway in the commencement of my first podcast, which I'm calling "Bards of Gaming". Each episode will focus on highlighting different game composers and their work, with interviews plus showcasing their music. Episode 1 will be release online officially very soon. If you're interested, follow me on twitter @Licoricefish!